The first time I stumbled across a Seven Sisters Scone was at the market in Marietta Georgia. It was a fairly chilly morning and sweet boy and I were exploring the square. We stopped by the local coffee shop, Cool Beans, for a latte, then decided to hit the market. We quickly came across Seven Sisters and decided to sample. They had about 20 varieties ready for tasting. 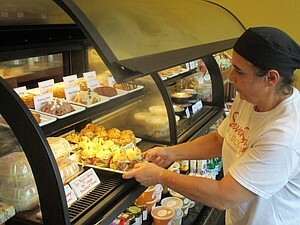 There were savory cheddar scones to totally sweet dessert flavors such as Vanilla Bean and Triple Chocolate. I found my favorite quickly. It was a brilliant combination of sweet and savory featuring goat cheese and fig. OK y’all. That scone. That one. I wish I could calculate how many future Saturday morning trips to the Marietta Market were made solely based on my craving for THAT scone. It is my “sconemate”. 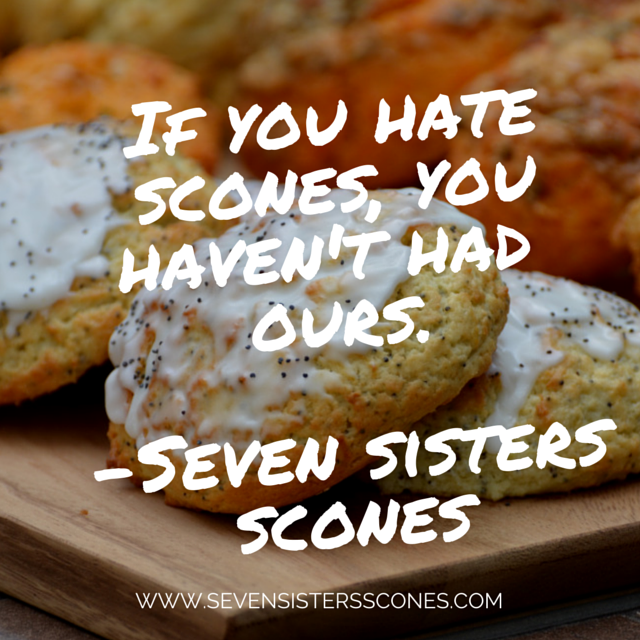 I promise you as sure as I am sitting here writing this post, you will find your sconemate with Seven Sisters too. 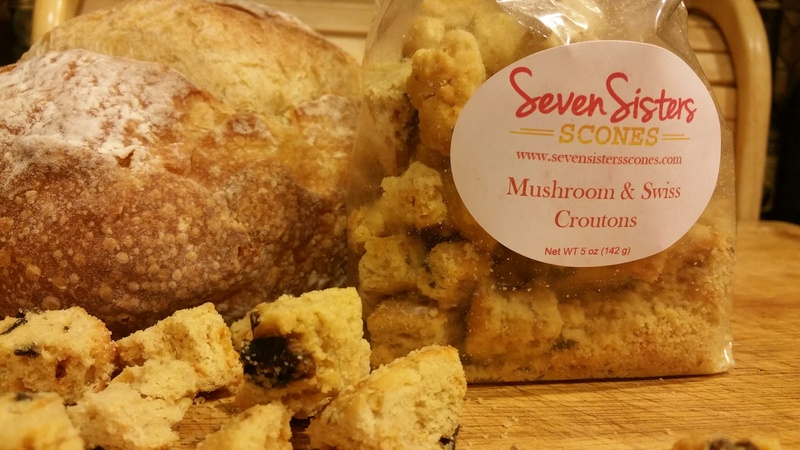 If the most amazing scones this side of the Mason Dixon wasn’t enough, they’ve since built a storefront in John’s Creek and added a fantastic array of products including Sconies, Bissconie and Croutons. I have this gorgeous box of sconnies, bissconie and croutons. 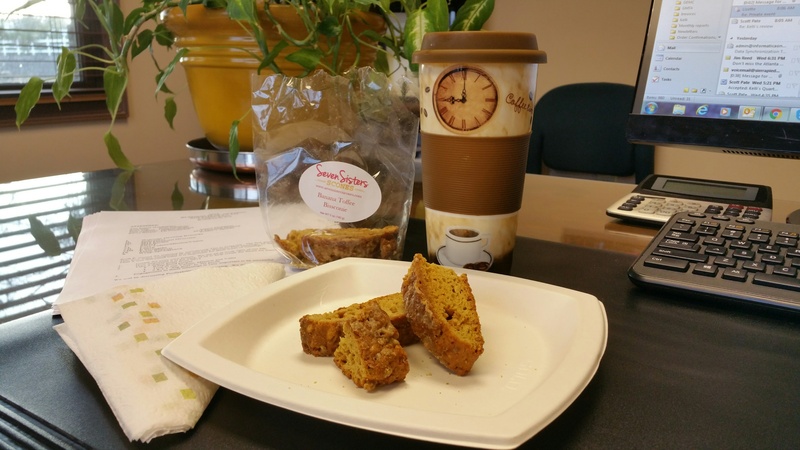 I load up the sconies and toss the bissconie in the work bag and off to the office we go. I fill my coffee cup and plunder through the goodies in my bag. Without much thought I choose the Banana Toffee Bissconie. That was clearly the right choice! 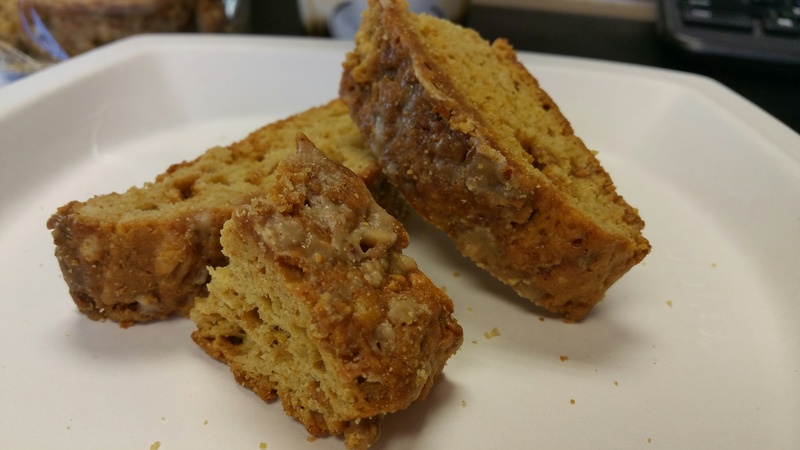 It was the perfect blend of crunchy and sweet and was incredible with my strong coffee. It seems others in my office agreed, as we quickly devoured the entire bag. I was really intrigued by this product. I decided to try them both on a salad as well as using them to replace the toasted breadcrumb topping for my chicken casserole. Both uses were spot on. They provided a flavorful addition to my salad as well as a nice flavorful topping for the casserole. Another score! Sconies are a smaller version of the Seven Sisters Scones. 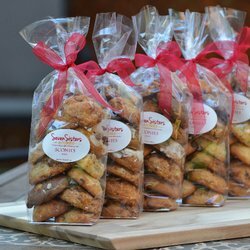 They are the perfect snack, again, with varieties in both savory and sweet. I love the vanilla Bean, adore the Chocolate, but my heart belong to the Goat Cheese and Fig. It is and forever will be my true sconemate. 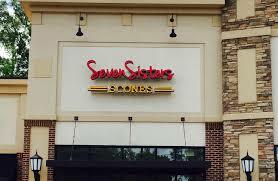 For more information on Seven Sisters Scones, including online purchase options, please visit www.sevensistersscones.com. 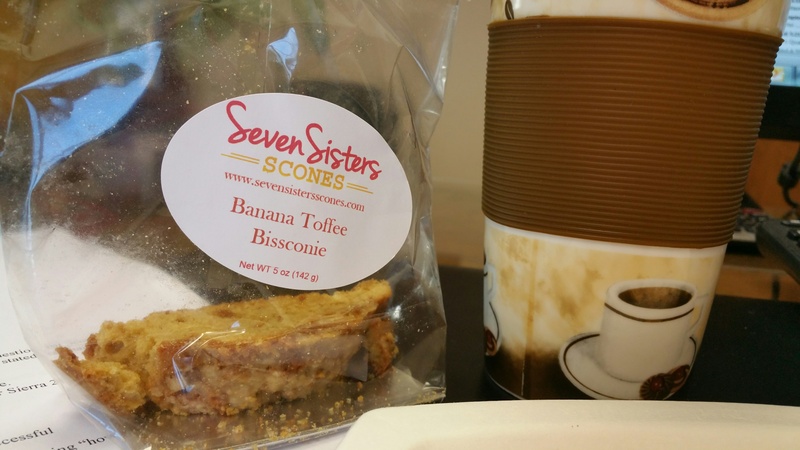 * A special thank you to Seven Sisters Scones for providing the wonderful products we enjoyed. Although the items were complimentary, all thoughts, opinions, drooling and swooning are 100% my own.